The Telecom Regulatory Authority of India (TRAI) has today announced that Mobile Number Portability (MNP) will initially start in the country with metros and category ‘A’ circles from 31st December 2009 and the rest of the country by 20 March 2010. TRAI also issued new guidelines and regulations on Mobile Number Portability. 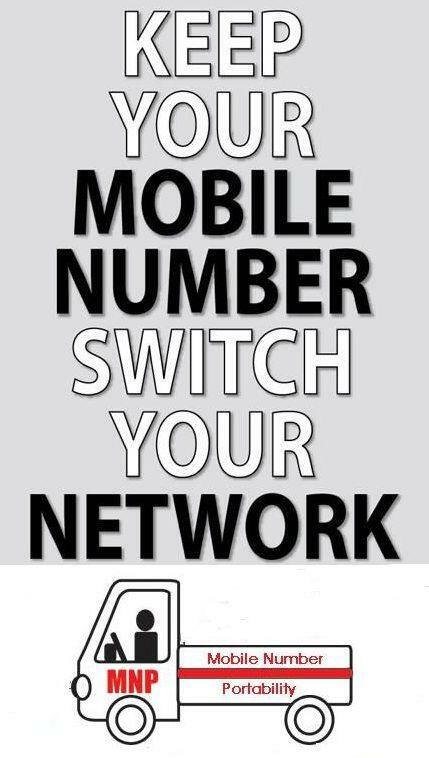 MNP allows subscribers to retain their existing mobile telephone number when they move from one Access Provider to another, irrespective of the mobile technology or from one cellular mobile technology to another of the same Access Provider, in a licensed service area. The facility of retention of existing mobile telephone number despite moving to a new telecom service provider helps the subscriber maintain contacts with his friends/clientele. • MNP facility shall be available only within a given licensed service area. • A subscriber holding a mobile number is eligible to make a porting request only after 90 days of the date of activation of his mobile connection. If a number is already ported once, the number can again be ported only after 90 days from the date of the previous porting. • The subscriber who wishes to port his mobile number should approach the Recipient operator (the operator to whom the subscriber wants to port his number). The Subscriber may be required to pay porting charges, if any, to the Recipient Operator. • The subscriber making the porting request is required to have cleared all the bills issued prior to the date of porting request. He shall give an undertaking that he has already paid all billed dues to the Donor Operator as on the date of the request for porting and that he shall pay dues to the Donor Operator pertaining to the mobile number till its eventual porting and that he understands and agrees that in event of non-payment of any such dues to the Donor Operator, the ported mobile number shall be liable to be disconnected by the Recipient Operator. • A subscriber may withdraw his porting request within 24 hours of its submission to the Recipient Operator. However, the porting charges shall not be refundable. • The regulation envisage a maximum time period of 4 days for the completion of porting process in all licensed service areas except in the case of J&K, Assam and North East licensed service areas where the maximum time allowed is 12 days. However, efforts will be made to further reduce the porting period. • Access Providers are required to implement All Call Query method. • The Originating operator shall be responsible to route the call to correct terminating network. According to the TRAI the introduction of MNP in India will helps in increasing competition between the service providers and acts as a catalyst for the service providers to improve their quality of service. Through these MNP regulations, the TRAI is laying down the basic business process framework for implementation of MNP in the country.